Continental breakfast begins at 8 a.m. 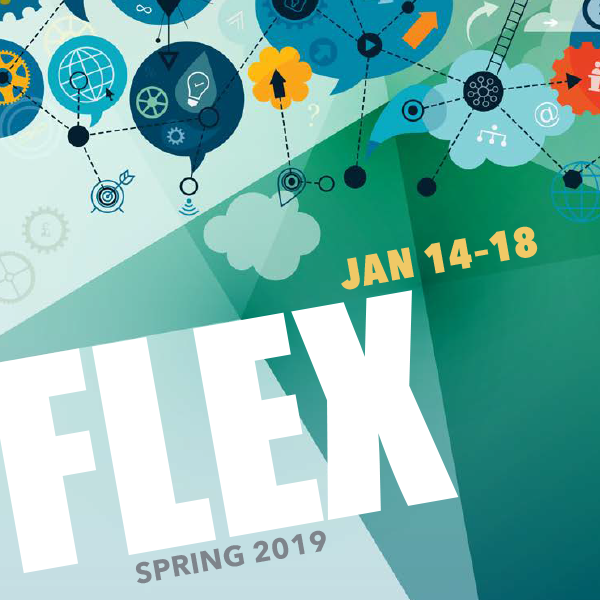 Program starts at 9 a.m.
Spring Flex Week is just around the corner, and each semester the lineup of activities for faculty and staff keeps getting better. Topics include equity, planning and institutional effectiveness, technology training, student success, community building, and more. The at-a-glance calendar and full description of activities is available on the Professional Learning webpage. Some activities require an RSVP, so please check the schedule carefully and follow up accordingly. Convocation will be held Wednesday, January 16, in the James Dunn Theatre. Please enjoy the continental breakfast from 8 a.m. to 8:45 a.m. and then head into the theatre for the program from 9 a.m. to 11 a.m. Keynote speaker Joe Feldman will present on the topic of grading for equity. This material will be expanded on in the post-convocation faculty session, which continues in the theatre until noon. Department meetings will be held from 1:30 p.m. to 3:30 p.m. Faculty should check with their department for location information. Please note, January 16 is a mandatory Flex day for full-time faculty. Beginning in spring 2019, all Flex/professional learning activities must be recorded in ProLearning, our new learning management system accessible through the MyCOM portal. With this system, you can view a calendar of on-campus Flex events and register by selecting REQUEST for the event you want to attend. After you have attended a Flex session and signed in, you will be marked in the system as having attended and can then fill out a short, online evaluation to "complete" your training. You can also browse online training options with Lynda.com, Skillsoft, and Keenan. If you attend external training, you can go to MY TRANSCRIPT and add your information. Contact Beth Patel with questions about Flex or ProLearning.